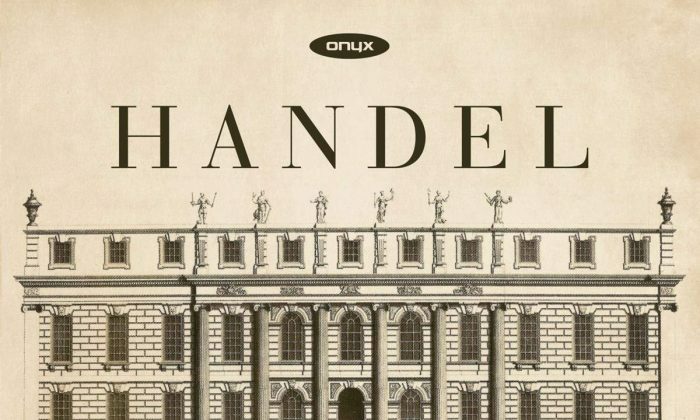 Featuring conductor Adrian Butterfield and the London Handel Orchestra, a new Onyx Classics album showcases two of Handel’s sacred pieces—“Chandos Te Deum” and “Chandos Anthem No. 8 (“O come let us sing unto the Lord”)—in vivid re-creations of the original performance style. 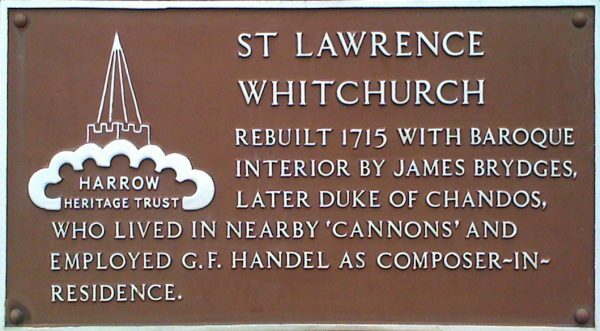 The pieces, written for the Duke of Chandos, were recorded in the very location where they were first performed: at the church of St. Lawrence. Moreover, Butterfield used the sort of musicians and singers that Handel would have directed for the Duke of Chandos: one voice per part and single instrumental lines. Handel’s “Chandos” anthems, or settings of the Psalms for use in Anglican liturgy, were written for the Duke of Chandos from 1717 to 1718 when Handel was periodically in residence at Cannons, the Duke’s residence. As the Duke was rebuilding his house, and it was not finished until 1720, the services took place in the church of St. Lawrence. Unlike the house, the church survives and is one of the few locations where Handel’s music can be heard in the venue for which it was first written. In addition, the church organ contains surviving pipework of its 1716 Gerard Smith organ, which was built for the church, but the program book does not specify if this organ was used in recording. The musicians and singers for which Handel wrote were slightly odd, dependent as he was on those engaged by the Duke. While choirs usually include four voice parts: soprano, alto, tenor, and bass, the earlier “Chandos” anthems were composed in three voice parts, with just soprano, tenor, and bass. With Handel’s later anthems, he added four or five parts, but the extra voices were only tenor parts so that the music is technically either soprano, tenor, tenor, and bass or soprano, tenor, tenor, tenor, and bass. On this disc, we get each line of the music performed by single voices, with what might be thought of as the alto line sung by a high tenor in a manner similar to recent Purcell recordings, and all supported by an instrumental ensemble using single instruments. The result is a long way from large-scale choral interpretations of this music, and the whole disc pulses with an engaging, intimate vitality. For both the “Te Deum” and the “Anthem,” Handel used a flexible structure of arias, duets, and ensembles, breaking the text up into small sections and moving fluidly from one scoring to another in a manner that would become familiar in his larger-scale pieces. Having the works sung by single voices means that these sections flow quite naturally with solos seeming to arise out of ensembles, and vice versa. To carry off this style of performance requires singers attuned to both solo and ensemble singing. The problem sometimes with using one voice to a part can be that the ensemble sections are beautifully blended but the solo passages sound a trifle bland and under-characterized. Not here, as Adrian Butterfield has chosen a fine group of soloists: Grace Davidson, Charles Daniels, Nicholas Mulroy, Benedict Hymas, and Edward Grint. The tenors seem to get the lion’s share of the solo moments, but there are some soprano solos as well. Grace Davidson manages in the ensemble passages to suggest a boy’s treble voice, which would have been what Handel would have used in his time, while developing a more bravura style in her solo moments. Similarly, Charles Daniels and Nicholas Mulroy do not disappoint in the arias yet ensure that the vocal ensemble sections are very much a group event, and within those we never lose sight of individual voices either. The style is crisp and vivid, with Butterfield clearly relishing the bite that his small assemblage is able to bring to the pieces. The music is arresting from the opening moments of the “Chandos Te Deum” and grips throughout the disc. 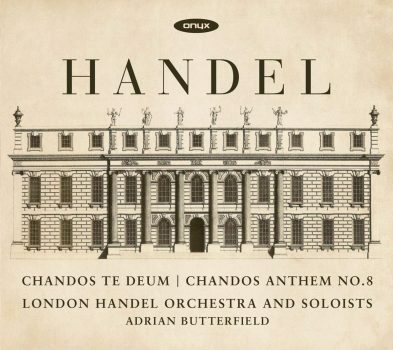 There are plenty of “Chandos” anthems (Handel wrote a total of 11), and I do hope that Adrian Butterfield and his ensembles give us more. Robert Hugill is a composer, lecturer, journalist, and classical music blogger. He runs the classical music blog Planet Hugill, writes for the Opera Today website, and Opera Today and Opera magazines. He lectures and gives pre-concert talks on opera and classical music in London. As a composer, his disc of songs “Quickening” was issued by Navona Records in 2017. This article, edited for clarity, is reprinted with permission from Planet Hugill.